If you're a fan of Miranda Kerr's Kora Organics skincare range you'd have quickly understood the the title of this blog post! 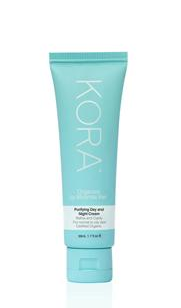 After using the Kora Organics Purifying Day and Night Cream for normal/oily skin for a couple of weeks, I can officially declare I'm in love. As a gal who's long-battled her oily skin, this moisturiser is like manna from the heavens. My face doesn't get as shiny throughout the day, my skin feels really healthy and hydrated, and I haven't compromised my environmental standards. Over 99% of the ingredients are naturally-based and 63% are organic, and the product achieved Ecocert Organic Cosmetic certification. Ecocert is an international sustainability certification organisation, and was the first to create standards for the cosmetic industry. The ingredient list is a veritable cornucopia of delicious natural ingredients, including the magical noni fruit. Whilst the scientific community hasn't quite agreed on the extent of the antioxidant benefits of noni fruit (particularly the consumption of it), the lovely Ms Kerr is a huge proponent of noni. She credits the juice of this quirky fruit, which is native to Australia and some Polynesian islands, for her energy levels and that gorgeous, healthy skin of hers. Now I don't know that I'll start drinking noni juice just yet, especially as it apparently smells disgusting, but who doesn't love a fruit-based beauty product? There are a couple ingredients in the moisturiser that appear on the 'Orange Alert' list from my beloved Gorgeously Green handbook - Tocopherol Acetate and Benzyl Alcohol. Both ingredients have been known to cause allergic reactions in some individuals. The EWG Skindeep database rates both ingredients as low overall hazards, but be careful if you have sensitive skin. Have you tried any other Kora Organics products? Or any other plant-based skincare products you'd like to share with my readers? Or better yet, have you tried noni fruit? 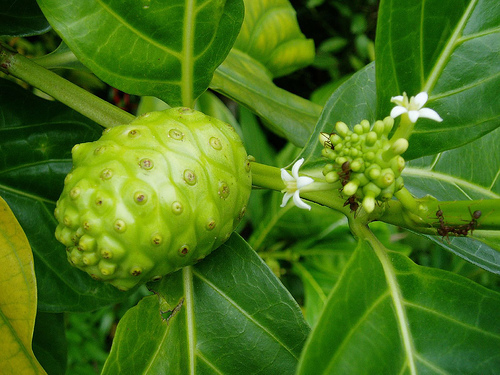 Noni juice is made from the fruit. Noni juice is a great fro skin care. Noni juice Supports the immune system. Very informative post! Noni fruit is very rich in antioxidants and other kinds of nutrients. It is a low fat juice and even if you have not experienced any of the above written benefits, it is still known to be healthy. The ancient kahunas and doctors claim this to be magic medicine. I just love this fruit.